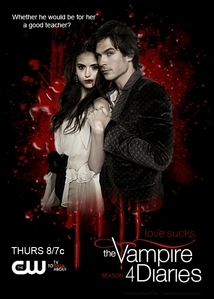 I think season 3 was amazing, most of damon and elena's development happens there. & currently in the دکھائیں and what's airing on television, damon and elena have slept together but are currently not all that together since she's dealing with a lot. To answer your سوال simply, yes they do get together! Season 3 was really good, season 4 ( the airing season) is good too, the دکھائیں is really consistent in quality. i am not too sure about damon and elena but i REALLY want to find out.you should watch season 3 i just finished it and if آپ like caroline آپ will be impresed because there is something going on between her and klaus!!!! And as for Klaus, I suggest آپ watch The Originals. Also CW Network. And very very much good. He's someone آپ will definitely grow to love. I watched Vampire Diaries because I was told the Originals came out in it.